Welcome to the Pickard Acoustics' Website. Pickard Acoustics offers a wide range of handbuilt steel-strung guitars, mandolin family instruments, banjos and Nylgut®-strung ukuleles. (Nylon-strung guitars are available to special order). 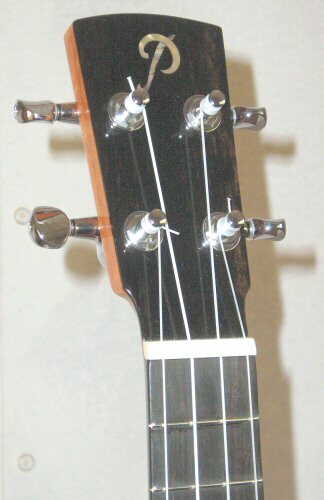 Guitars, ukuleles and mandolin family instruments all feature a unique bracing system (a modified fan/radial design) which produces a bright tone and even response. 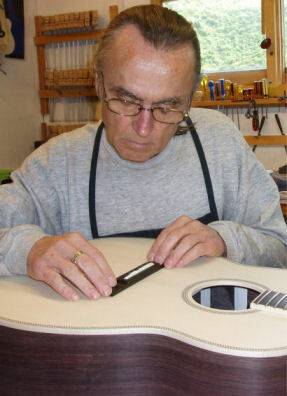 Each instrument is built using solid wood construction, employing a variety of tone-woods and spruce or cedar tops, and features a glued dovetail joint connecting neck to body (including Ukuleles). Six-string guitars are available in three basic sizes (small, medium and large) and four different body shapes or series. Coupled with the choice of 12 or 14 frets to the body this gives a range of more than 24 different six-string guitars plus 8 twelve-string guitars! For other members of the guitar family (e.g. Six & Twelve-string Baritone Guitars, Acoustic Bass Guitars, Tenor Guitars, Nylon-strung Guitars, etc.) please contact Pickard Acoustics. Mandolins are available in two different body shapes or series. Tenor Mandolas, Octave Mandolas, Bouzoukis (4-course) and 5-course Citterns complete the Mandolin Family. Ukuleles are available in five sizes (Sopranino, Soprano, Concert, Tenor and Baritone). (Tenor ukuleles are also available in an 8-string (4-course) version. Prices available on request.) Strung with Aquila Nylgut® strings. Any instrument can be customised to your own specifications in terms of inlays, decorative bindings and purflings.